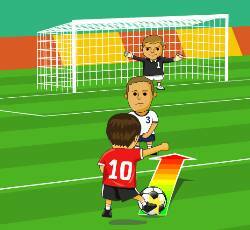 Successfully complete any combination of levels in Score Attack ten times. Get a 100% ranking in any two Areas. Alternately, accumulate a total of six hours of game play. Get a 100% ranking in any four Areas. Alternately, accumulate a total of eight hours of game play. Successfully complete any combination of levels in Score Attack fifteen times. Successfully complete Area 5 in the default game to unlock Lost Area in the beyond mode menu. Alternately, accumulate a total of five hours of game play. Successfully complete Direct Assault (ambient). Successfully complete Direct Assault (psychedelic). Get the first place ranking in Boss rush mode. Successfully complete the Direct Assault - Trance option in the beyond mode menu. Successfully complete any combination of levels in Score Attack twenty five times. Successfully complete Direct Assault (normal). Get the first place ranking in two Areas in score attack mode. Get a 100% ranking in all Areas. Alternately, accumulate a total of ten hours of game play. Successfully complete Direct Assault (old skool). Successfully complete any combination of levels in Score Attack five times. Get a 100% ranking in any five Areas. Alternately, accumulate a total of nine hours of game play. Successfully complete Area 5 to unlock Direct Assault (normal) in the beyond mode menu. Six different beam types can be unlocked by completing any combination of Areas in score attack mode. A new beam type is unlocked every five times this is done. After the Areas are completed 30 times, all bonus beam types will be unlocked. Get a 95% ranking in Area 1 through Area 5. Get the first place ranking in four Areas in score attack mode. Successfully complete any combination of levels in Score Attack twenty times. Get the first place ranking in three Areas in score attack mode. Get the first place ranking in Lost Area. Get a 100% ranking in any three Areas. Alternately, accumulate a total of seven hours of game play. 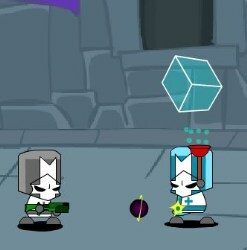 Various Areas are unlocked in score attack mode when they are completed during the default game. Get a 100% ranking in Area 1 through Area 4. Get the first place ranking in five Areas in score attack mode. Successfully complete Direct Assault (punk). Successfully complete any combination of levels in Score Attack thirty times. Or simply Click here to find more Rez cheat codes.